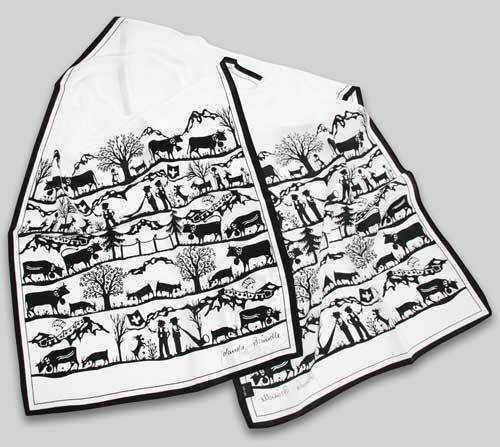 A luxurious white base silk scarf with an intricate Appenzell Silhouette, scissorcut design printed. Scarf measures approximately 16 inches wide x 59 inches long. Service Area: New Glarus, Janesville, Rockford, Machesney Park, Stoughton, Whitewater, Baraboo, Roscoe, Oregon WI, Platteville, Verona and surrounding communities.